Stone Age tools dating back 20,000 years have been excavated in West Bengal. The region was a part of the Vanga kingdom according to the epic Mahabharata. Several Vedic regions were present in Bengal region including Vanga, Rarh, Pundravardhana and the Suhma Kingdoms. One of the earliest foreign references to Bengal is a mention by the ancient Greeks around 100 BCE of a land named Gangaridai which was located at the mouths of the Ganges. Bengal had overseas trade relations with Suvarnabhumi (Burma, Lower Thailand, Lower Malay Peninsula, and the Sumatra). According to the Sri Lankan chronicle 'Mahavamsa', Prince Vijaya, a Vanga Kingdom prince, conquered Lanka (modern day Sri Lanka) and gave the name Sinhala Kingdom to the country. Under Ashoka, the Maurya Empire of Magadha extended over nearly all of South Asia, including Afghanistan and parts of Balochistan in the 3rd century BCE. 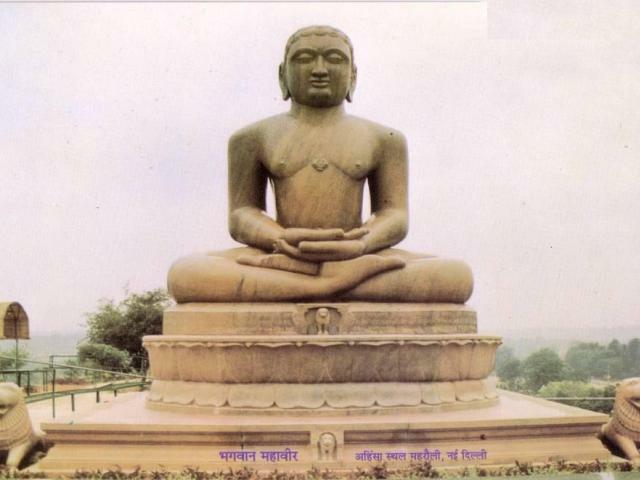 From the 3rd to the 6th centuries CE, the kingdom of Magadha served as the seat of the Gupta Empire. Two kingdoms – Vanga or Samatata and Gauda – are mentioned in some texts to have appeared after the end of Gupta Empire, although details of their ruling time are uncertain. The first recorded independent king of Bengal was Shashanka who reigned in the early 7th century. 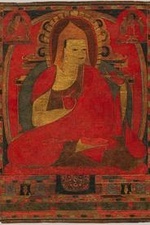 After a period of anarchy, the Buddhist Pala dynasty ruled the region for 400 years starting from the 8th century, followed by a shorter reign of the Hindu Sena dynasty. Some areas of Bengal were invaded by Rajendra Chola-I of the Chola dynasty between 1021 and 1023 CE. Islam made its first appearance in Bengal during the 12th century when Sufi missionaries arrived. Later, occasional Muslim raiders reinforced the process of conversion by building mosques, madrasas and khanqahs. Between 1202 and 1206, Muhammad bin Bakhtiyar Khilji, a military commander from the Delhi Sultanate, overran Bihar and Bengal as far east as Rangpur, Bogra and the Brahmaputra River. Although he failed to bring Bengal under his control, the expedition managed to defeat Lakshman Sen. Lakshman's two sons moved to a place then called Vikramapur (present-day Munshiganj district), where their diminished rule lasted until the late 13th century. Muslim conquests helped spread Islam throughout the Bengal region. Consequently, the region was ruled by dynasties of Bengal Sultanate and feudal lords under the Delhi Sultanate for the next few hundred years. Smaller Hindu states, landlords and Baro-Bhuyans also ruled in parts of Bengal. The Bengal Sultanate was interrupted for 20 years by an uprising by the Hindus under Raja Ganesha. In the 16th century, Mughal general Islam Khan conquered Bengal. However, administration by governors appointed by the court of the Mughal Empire gave way to semi-independence of the area under the Nawabs of Murshidabad, who nominally respected the sovereignty of the Mughals in Delhi. There were several independent Hindu states established in Bengal during the Mughal period like those of Pratapaditya of Jessore district and Raja Sitaram Ray of Bardhaman. The Koch dynasty in northern Bengal flourished during 16-17th centuries and they were able to fend off the Mughals. However, the Koch dynasty was defeated finally by the British who extended their control over northern Bengal. Several European traders arrived late in the 15th century. 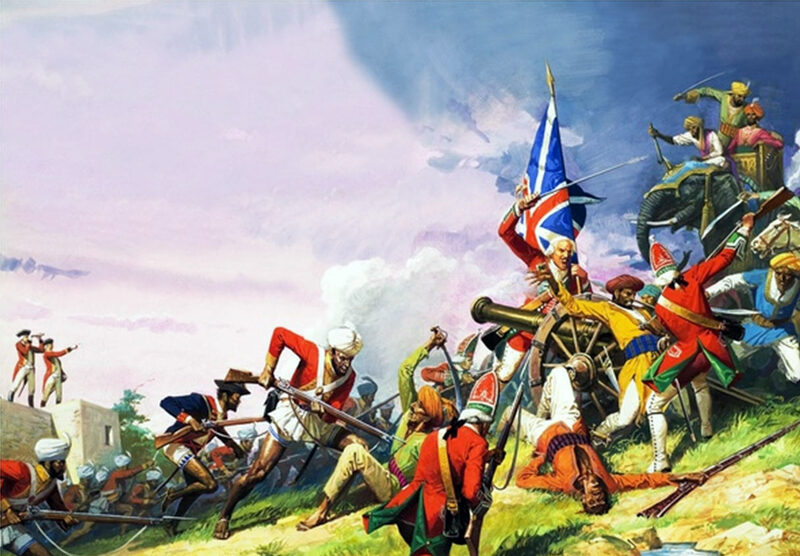 Their influence grew until the East India Company gained taxation rights in Bengal subah (province) following the Battle of Plassey in 1757. 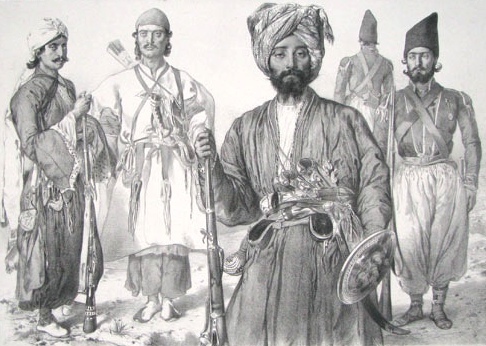 Siraj ud-Daulah, the last independent Nawab, was defeated by the British in the Battle of Plassey. The Bengal Presidency of the British Empire was established by 1765 including all British territories north of the Central Provinces (now Madhya Pradesh). The Bengal territory extended from the mouths of the Ganges and the Brahmaputra to the Himalayas and the Punjab. The Bengal famine of 1770 claimed millions of lives. Calcutta was named the capital of British India in 1772. The Bengal Renaissance and Brahmo Samaj socio-cultural reform movements had great impact on the life structure of Bengalis. The failed Indian rebellion of 1857 started near Calcutta and resulted in transfer of authority to the British Crown, administered by the Viceroy of India. Between 1905 and 1911, an abortive attempt was made to divide the province of Bengal into two zones. Bengal suffered from the Great Bengal famine in 1943 that claimed 3 million lives. 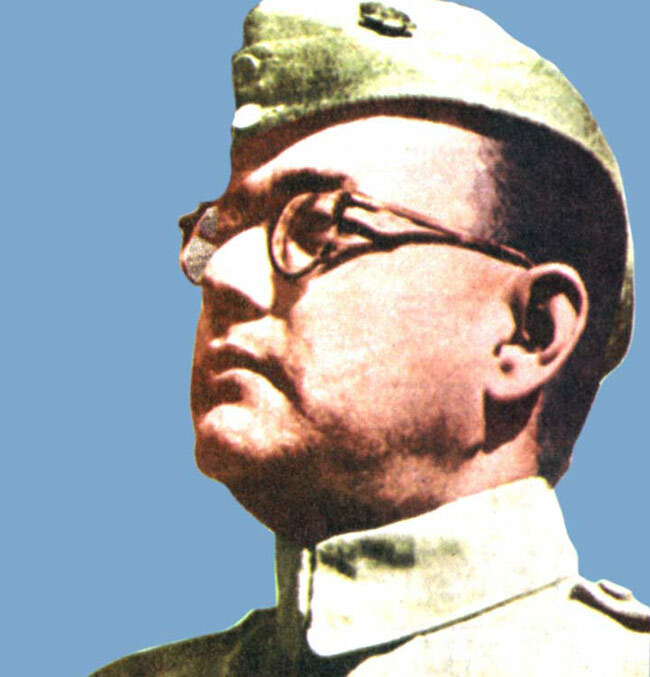 Militant Congressman Subhas Chandra Bose was an independence activist against the British Raj. Bengal played a seminal role in the Independence movementin which revolutionary groups such as Anushilan Samiti and Jugantar were dominant. Armed attempts against the British Raj from Bengal reached a climax when Subhas Bose led the Indian National Army from Southeast Asia against the British forces. When India gained independence in 1947, Bengal was partitioned along religious lines. The western part joined India (and was named West Bengal) while the eastern part aligned with Pakistan as a province called East Bengal. Later East Bengal was renamed East Pakistan giving rise to independent Bangladesh in 1971 after the India-Pakistan war. In 1950, the princely state of Cooch Behar merged with West Bengal. In 1955, the former French enclave of Chandannagar, which had passed into Indian control after 1950, was integrated into West Bengal. Some portions of Bihar were merged with West Bengal. Both West and East Bengal suffered from large refugee influx during and after the partition in 1947. Refugee settlement and related issues continued to play significant role in the politics and socio-economic condition of the state. During the 1970s and 1980s, a number of factors like power shortages, strikes and rallies, and a violent Naxalite movement put West Bengal on the back foot. The state infrastructure created by the British became outmoded and a period of economic stagnation led to social decay in West Bengal. The Bangladesh Liberation War of 1971 resulted in the influx of millions of refugees to West Bengal, causing significant strains on its infrastructure. The 1974 smallpox epidemic killed thousands. West Bengal politics underwent a major change when the Left Front won the 1977 assembly polls defeating the Congress. 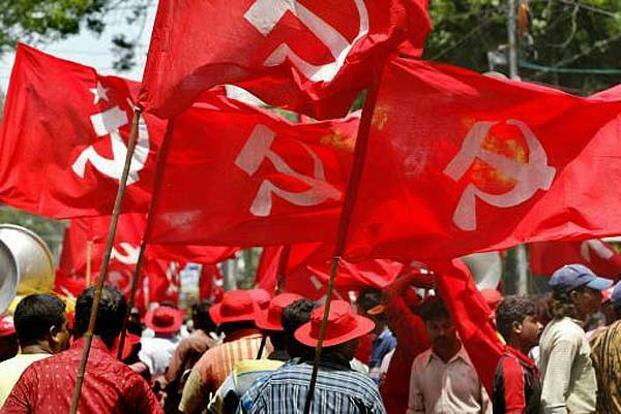 The Left Front led by CPI(M) governed the state for three decades. Communist stalwarts like Abani Mukherji, Ajoy Ghosh, Indrani Gupta, Bhupesh Gupta and Jyoti Basu (longest tenure as successive CM of a state) led West Bengal to a new path of socio-economic development based on Marxist ideology. While political rallies, agitations and violent clashes were the norm in the cities, the rural areas were plagued by Naxalism. Due to strong trade unionism, industries were shut down and employment became scarce in West Bengal during the period of successive Communist regimes of Jyothi Basu. West Bengal's economic recovery gathered momentum after economic liberalisations were introduced in the mid-1990s by the central government. The advent of software boom and IT-enabled services opened up new wave of employment opportunities for the skilled youth. Since mid-2000s, armed groups and Naxals conducted regular strikes at government institutions to challenge authority. Clashes and strife were order of the day as many rural areas witnessed armed rebellion over the government's policy of land acquisition for industrial development. Village pockets like Nandigram and Singur erupted in violence and innocent peasants were killed during police firing to quell the mob hooliganism. 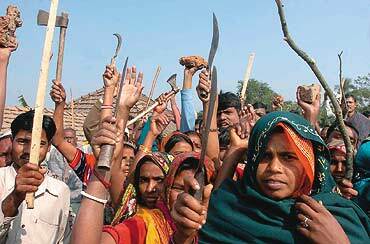 The violence in rural Bengal resulting in police atrocities was one of the chief reasons for the defeat of the Left Front government in 2011 assembly election. Although the state's GDP has risen significantly since the 1990s, West Bengal has remained affected by political instability and bad governance. West Bengal continues to suffer from regular bandhs (strikes),a low Human Development Index level, sub-standard healthcare services, lack of socio-economic development, poor infrastructure, political corruption and civil violence.